Strategic Human Resource Management is the process of hiring, training, rewarding, and keeping employees for the benefit of both the organization and its employees. It aims to utilize strengths and create opportunities for the human resources and keep it aligned with the objectives of the organization. Steps taken for creating decisions with regards to the organization’s goals and strategies. It makes decisions for the human resource and connecting it with the overall organization plan. 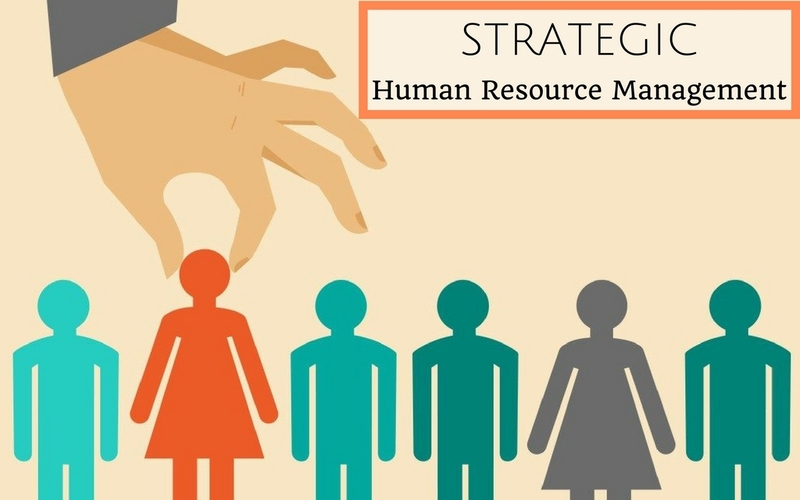 How Strategic Human Resource Management Works? Employees are assets of organizations. Strategic HR management makes sure that the employees receive nourishment from the company. Strategic HR management hones the skills of the employees and creates growth for both the individual and the organization as a whole. Employees usually are let to go either due to poor performance, voluntary resignation, or economic difficulties. Strategic HR Management assures that employees won’t be fired due to uncontrollable factors such as economic crises, or unattained organizational objectives. Most companies conduct extensive training for their new employees so that they can learn the ropes and work with less supervision. It also tests the new employees’ skills and abilities so that the management could pinpoint their strengths and weaknesses. Decentralization helps departments create their own methods to help achieve a common goal. It allows low-level and middle-level managers to oversee and plan out their own daily operations, and be held responsible and accountable for their decisions. This leaves the top-level managers free to take care on major decisions. When selecting a new employee for the company, the human resource department must put up standards that are realistic for the position and the same time, evaluate the kind of person needed for the job. It also allows the HR personnel to see if the applicant has the values that is a fit for the company. There are times when a qualified applicant won’t get the position. Why? The HR personnel may have seen something problematic with his or her character. It may be the way they act or the way they speak. It makes sure there isn’t any discrimination within the organization. This includes they way of dress, arrangements, differentials, language, and parking. Giving pay raises can create motivation for employees to do well in their jobs. This kind of method can be a win-win since employees will be able to do better and enjoy more economic benefits. It also gives the best employees more reasons to stay and work for the company. The entire organization will achieve its objectives more smoothly and promptly. It will also gain a competitive advantage since the HR department focuses on motivating its staff. Strategic HR Management promotes a high level of trust between all the employees and the higher-ups. This makes the employees feel more involved and not kept in the dark with regards to the decisions made for the organization. Higher-ups will be able to disseminate the information and tasks to be done promptly, and gain confidence and trust from its subordinates. It is a systematic monitoring of forces that can make impact to the organization. Many external and internal factors such as economic, social, cultural, political, and relations can affect the organization as a whole. After determining your environment, it’s time for the organization to determine its strengths, weaknesses, opportunities, and threats within its personnel. This strategy focuses on the recruitment of new applicants and selects the best ones for the organization. It involves training and enhancement of its human resources. It seeks to increase the quality of the staff and instill new knowledge. It gears towards giving the staff rewards and better compensation for their work. It’s a way of motivating them to do their work well. How the staff is teamed up can affect the performance of the organization as a whole. It aims to promote distinction and cooperation between each team. Once a decision has been reached, the strategies planned out will be executed. How, when and where it will be implemented must be also taken to account. In this stage, the company will have to monitor and review what is outcome of the execution. The organization must determine what went wrong and how can it be corrected. It also has to know which strategies went smoothly and how can it be applied on other aspects. HR Metrics are used to measure HR performances and outcomes. It determines the effectiveness of the HR when it comes to its tasks. Strategic HR Management enables HR departments to create strategies and tactics to recruit, train, and reward employees in accordance of organizational goals. It also evaluates and reviews the strengths and weakness of each department. It determines on how one department can help compensate the weakness of the other. In short, it plans and executes how each department can coordinate with one another to achieve a common goal. Strategic Human Resource Management has a vital role of recruiting, training, and rewarding employees. It aids the organization to fulfill its objectives without compromising the welfare of its employees. It ensures that the staff contributes their talents for their own welfare and for the organization’s success. It also promotes trust and confidence within the organization. Finally, it makes sure that all departments will sync well to achieve organizational goals. Author’s Bio: Jon works as a HR executive at HR Advise Me, UK. With his management skills & experience, he support & deliver a range of pragmatic management solutions and advice to help you get the most from your employees. Apart from his work he loves scuba diving, trekking & writing. Meet Jon at HR Advise Me for any kind of HR Consultants. Next articleHow to be More Social, Confident and Outgoing at Work?